O'Reilly's Pocket Guides have earned a reputation as inexpensive, comprehensive, and compact guides that have the stuff but not the fluff. Every page of "Linux Pocket Guide" lives up to this billing. It clearly explains how to get up to speed quickly on day-to-day Linux use. Once you're up and running, "Linux Pocket Guide" provides an easy-to-use reference that you can keep by your keyboard for those times when you want a fast, useful answer, not hours in the man pages. "Linux Pocket Guide" is organized the way you use Linux: by function, not just alphabetically. It's not the 'bible of Linux; it's a practical and concise guide to the options and commands you need most. It starts with general concepts like files and directories, the shell, and X windows, and then presents detailed overviews of the most essential commands, with clear examples. You'll learn each command's purpose, usage, options, location on disk, and even the RPM package that installed it. 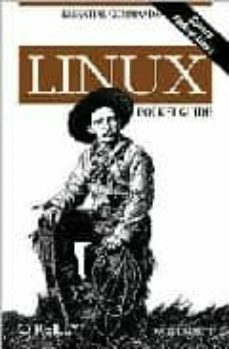 The "Linux Pocket Guide" is tailored to Fedora Linux--the latest spin-off of Red Hat Linux--but most of the information applies to any Linux system. Throw in a host of valuable power user tips and a friendly and accessible style, and you'll quickly find this practical, to-the-point book a small but mighty resource for Linux users.